ACE LA-1 19?? (ATC 31) = 140 hp 7RA. Evolved into Jacobs LA-1. ACE Mk III 1929 (ATC 30, 44) = 90 hp 310ci 4LAI; (44) for 110 hp supercharged model. Source:Gunston 1989 except where noted. 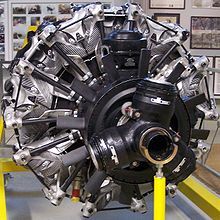 Argus As 403 radial engine project, not built. Sources: Piston engines, Lumsden, gas turbine and rocket engines, Gunston. Bristol BRJ.1 6in ramjet, Initial development model using Boeing combustor. Bristol BRJ.2 16in ramjet. Scaled up BRJ1 with Boeing combustor. Bristol BRJ.601 16in M3 ramjet. Tested on Bobbin. Bristol BRJ.701 23in M3 ramjet project study. Bristol BRJ.801 18in M3 ramjet. Initial M3 ramjet developed for Stage 1¾ Blue Envoy. Bristol BRJ.811 18in M3 ramjet. M3 ramjet developed for Stage 1¾ Blue Envoy. Bristol BRJ.824 18in M3 ramjet. Cancelled with Blue Steel Mk2. Bristol Siddeley BS.1001 Bristol Siddeley M2.4 - 4.2 ramjet. Bristol Siddeley BS.1002 Bristol Siddeley M4.5 ramjet. Bristol Siddeley BS.1004 Bristol Siddeley M2.3 ramjet. Bristol Siddeley BS.1006 Bristol Siddeley M4 research ramjet. Became R.2 research engine. Bristol Siddeley BS.1009 Bristol Siddeley M3 ramjet. Modified BT.3 Thor intended for proposed Bloodhound III. Modified nozzle, intake and diffuser. Bristol Siddeley BS.1011 Rated at 40000lb (177.9KN). Bristol Siddeley BS.1012 Bristol Siddeley combination powerplant for APD 1019 and P.42. Used Olympus or BS.100 turbomachinery, bypass duct burning and ramjets. Bristol Siddeley BS.1013 Bristol Siddeley ramjet study for stand-off missile. Possibly for Pandora. Bristol Siddeley R.1 Bristol Siddeley research ramjet. Bristol Siddeley R.2 Bristol Siddeley research ramjet. Comet 7-D 1928 (ATC 9) = 150hp 612ci 7RA. Comet 7-E 1929 (ATC 47) = 165hp 612ci 7RA. Comet 7-RA 1928 (ATC 9) = 130hp 7RA. Note: Continental use military style O-nnn designations even when there is no military designation allocated. Curtiss 250hp V-12 1649 cu in AB? Source:LironNote: Farman engine designations differ from other French manufacturers in using the attributes as the basis of the designation, thus; Farman 7E ( 7-cyl radial E - Etoile / Star / Radial) or Farman 12We ( W-12 fifth type - the e is not a variant or sub-variant it is the type designator). As usual there are exceptions such as the 12Gvi, 12B, 12C and 18T. Fiat V-8 ca. 1919 400 hp? Note:On French engine designations —even— sub-series numbers (for example Gnome-Rhône 14N-68) rotated anti-clockwise (LH rotation) and were generally fitted on the starboard side, —odd numbers— (for example Gnome-Rhône 14N-69) rotated clockwise (RH rotation) and were fitted on the port side. Note:On French engine designations —even— sub-series numbers (for example Gnome-Rhône 14N-68) rotated anti-clockwise (LH rotation) and were generally fitted on the starboard side, —odd— numbers (for example Gnome-Rhône 14N-69) rotated clockwise (RH rotation) and were fitted on the port side. HKS 700E on a Flightstar II. Isaacson 45hp 7-cyl. radial 1910, possibly same engine as 60 hp! Isotta Fraschini Asso 80 R.I.
Isotta Fraschini Asso 500 R.I.
Klöckner-Humboldt-Deutz diesel 8 cyl. rotary DZ 700? Lawrance B 60 hp 3-cyl. Note:On French engine designations even sub-series numbers (for example Gnome-Rhône 14N-68) rotated anti-clockwise (LH rotation) and were generally fitted on the starboard side, odd numbers (for example Gnome-Rhône 14N-69) rotated clockwise (RH rotation) and were fitted on the port side. Lorraine 3B licence-built Potez 3B? Lorraine Dietrich 12Cc ? Dc in error? MAN Mana V (350 hp V-10) V-10 airship engine?